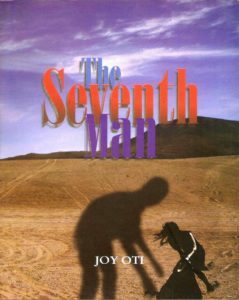 The Seventh Man is a beautifully written work of prose, which narrates the experience of Lulu, a vivacious teenager, whose life is transformed by an experience in a faraway country. The story of the protagonist captures the impulsive and tumultuous emotions of youth from the pedestal of artistic suspense and a lucid language. The writer takes the reader on a memorable journey not just into the life of a down-to-earth and wilful character, but importantly into various cultures, faiths and attitudes. Lulu soon personifies the challenges inherent in missionary work, the terrors of being captured and tortured, the sweetness of escape, and the humbling realisation of the awesome power of a benevolent Creator. In spite of her religious upbringing, and in spite of leading a life she believed was consistent with the tenets of her faith, she eventually encounters the seventh man in an unexpected way that confounds the reader’s imagination.